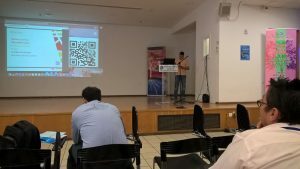 The Scientific Conference «Teaching and learning via mobile devices: Challenges and consequences for education» was held on May 26th, at the University of the Aegean (Rhodes – Greece). 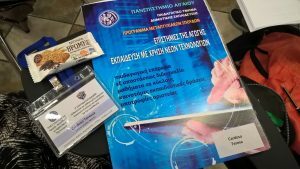 Some of the members of the MINE team had the opportunity to participate in the event and meet students and teachers of the Master’s Program “Educational Sciences – Use of New Technologies in Education”, including its director, Professor Sofos Alivisos. 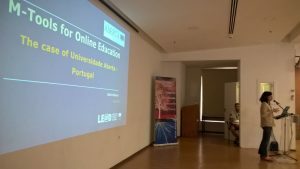 As he recognized, “The use of digital Media in schools and especially in the classroom has long been a reality, without becoming routine. 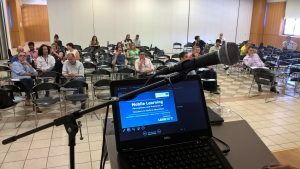 For many educators, just as for researchers, a core question persists: Do digital Media have superiority in relation to teaching and learning? 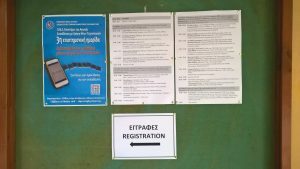 This question […] is […] central to this year’s forum”.